Outstanding improvement!!!! !......the new ball adjustment is great....so far superior to the plastic teeth and screw. Will see how it holds up during the season....if meets the test, I will start to replace all my older holders.....well done on the design....kinda expensive though! I was looking forward to these based on the description, while waiting for them I had read numerous posts on various discussion groups about them coming loose and falling off. I did experience that one time after getting the pouches. Looking at the construction, I decided that I had not tightened the attachment to the pouch sufficiently (I'm a retired machinist). After tightening them past what I initially thought was sufficient, I have not had a problem with them, maybe the instructions should be revised to reflect this. I also read in the negative posts that DAA was more than helpful in resolving this with people who had problems (which is comforting). Overall I am very pleased with the product and the company. This is a combo offer for 3 Alpha-X Pouches! NOTE: if you wish to receive different inlay colors, please make a note of this at checkout. The Alpha-X pouches are an evolution of our Race Master pouches, the Double-Alpha flagship mag pouch for years. The aluminum construction offers unparalleled durability and striking appearance, and that is maintained in the Alpha-X line. 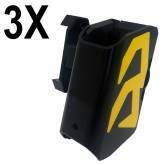 However, since an aluminum pouch is sometimes not as smooth-drawing as a plastic pouch, and we want the best of both worlds, the Alpha-X utilizes a new innovative internal spacer system that totally envelopes the magazine when seated in the pouch. The magazine does not make any direct contact with the aluminum sides at all. The new spacers also center the magazine in the middle of the pouch, no matter their size. 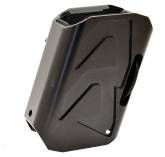 And, for the first time ever, they offer a height-adjustable bridge support under the magazine, allowing you to determine how deeply your magazine seats into the pouch. The innovation and improvement of the Alpha-X Mag Pouch do not stop with its new inserts and striking new look. The mounting system is completely reengineered. The new ball joint is held in the belt hanger using a pressure coupling rather than the grub screws used in the Race Master. This offers a totally secure lock up and the option to make minute adjustments to the pouch’s angle and tilt without creating any “memory dimples” in the ball joint. 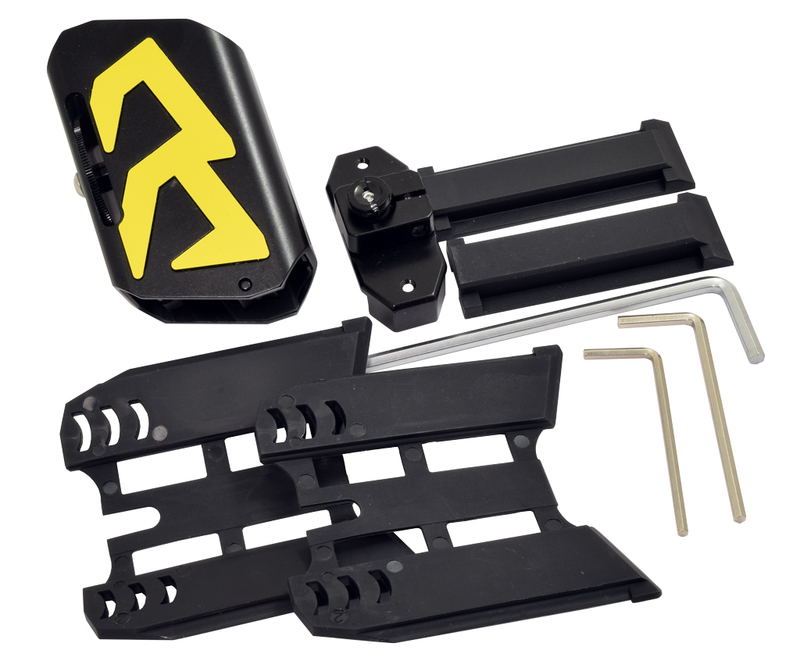 The ball joint can be attached to the pouch in several positions, allowing a full range of height adjustable for right-hand, left-hand or bullets-out users. 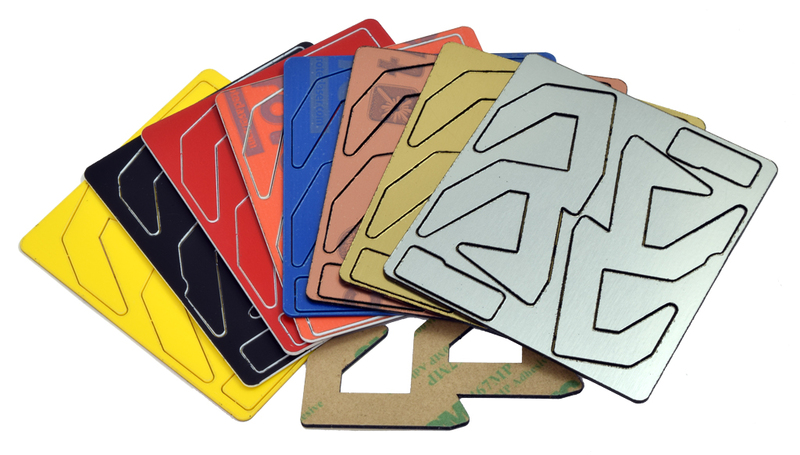 And finally, a dash of color and personalization can be added with the laser cut plastic inlays, available for user installation in several colors. Once you have determined your preferred mounting position, it is recommended to use some Loctite on the screw in the ball-joint, to ensure it stays tight and expands the dovetail, for solid, long-lasting retention. That screw must be very firmly tightened for correct function. These pouches are suitable for all double-stack magazines (except for 0.45 glock and HK mags). 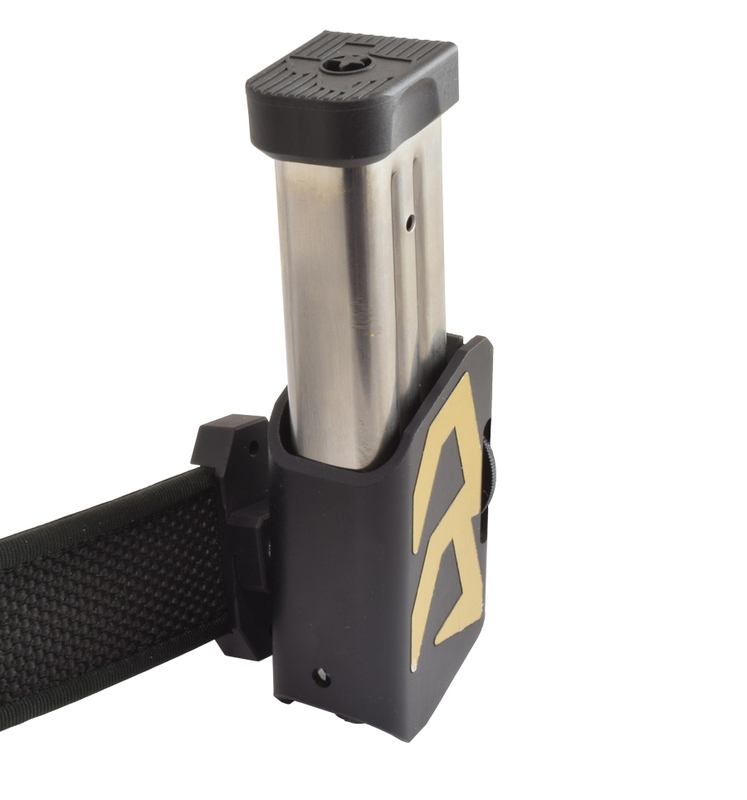 To use with single stack magazine, order the optional single stack adapter!